These photographs were donated by Rebecca Galloway. E-mail. 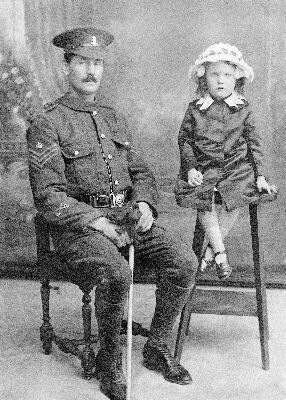 Nathaniel William WINTER, grandson of William WINTER and Eliza WOOLGAR, with his daughter, Marion, who was aged 4 when this photo was taken in 1916. 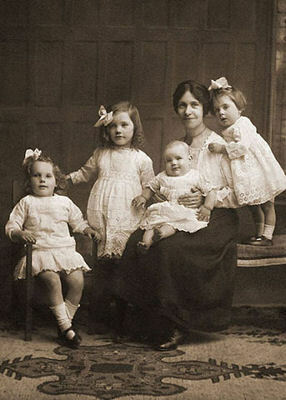 Nathaniel William WINTER's wife Jennie, with baby Bill on her lap; daughter Evelyn standing on the stool, leaning on her mother's back; Marion standing; and Dolly sitting in the chair. This photo was taken in 1917.